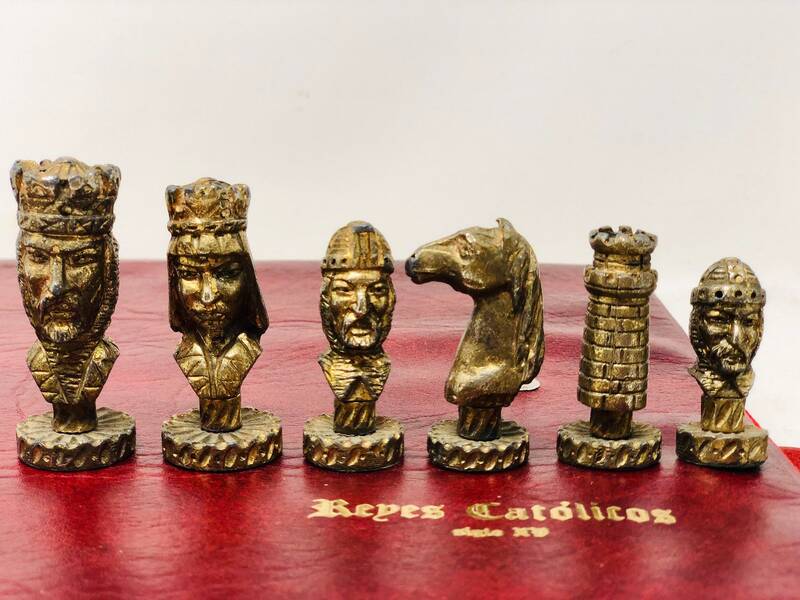 Famous Spanish chess of the second half of the twentieth century, chess dedicated to the Spanish Catholic monarchs against the Muslim kingdom of Granada. 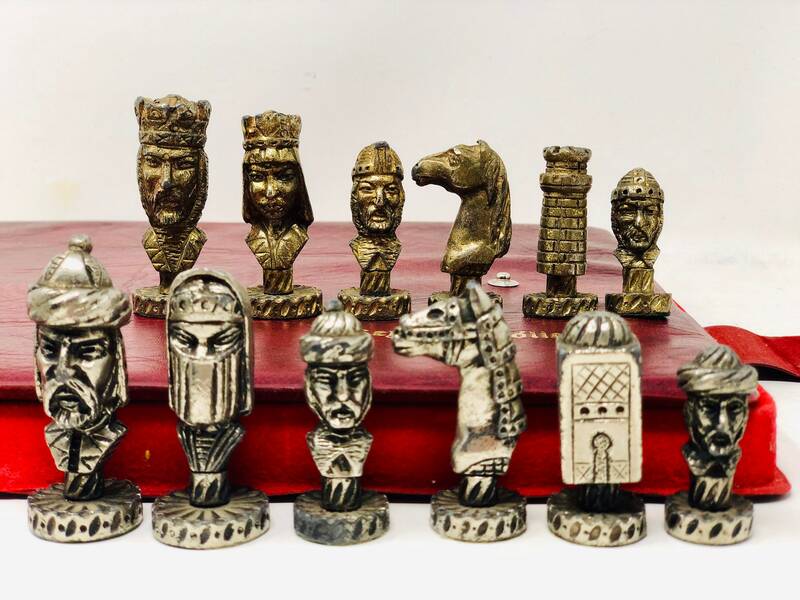 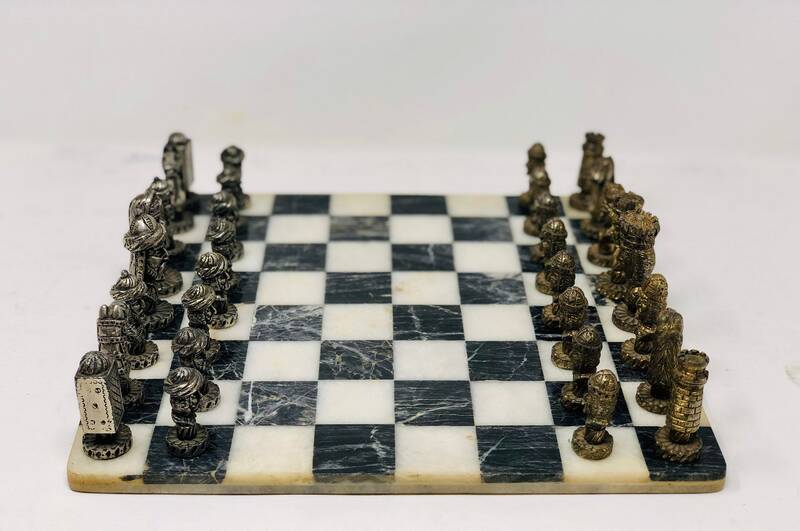 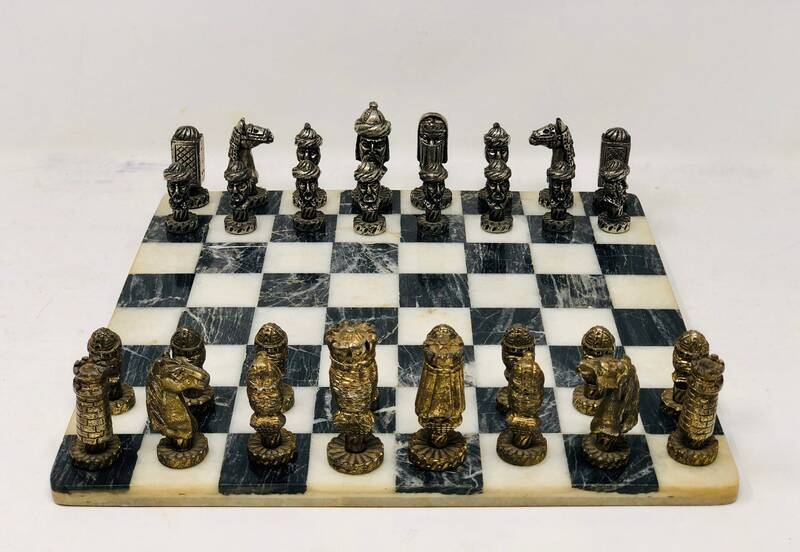 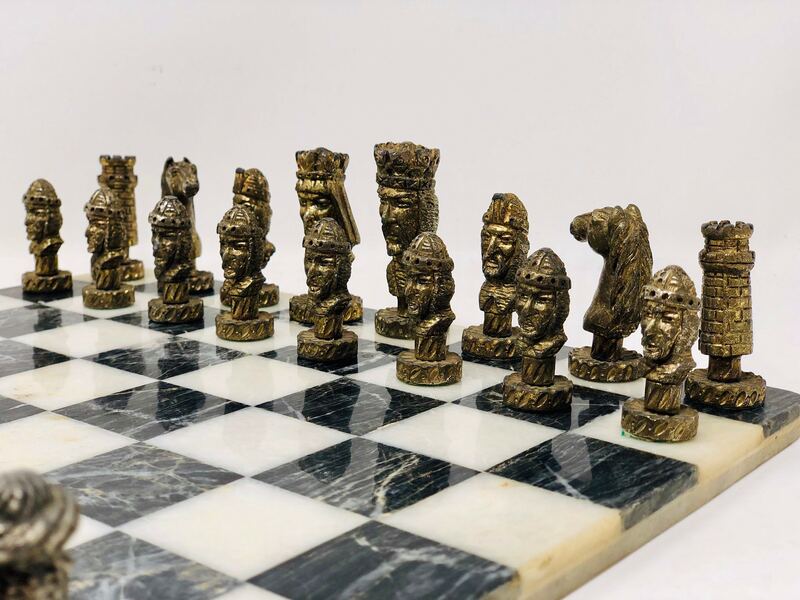 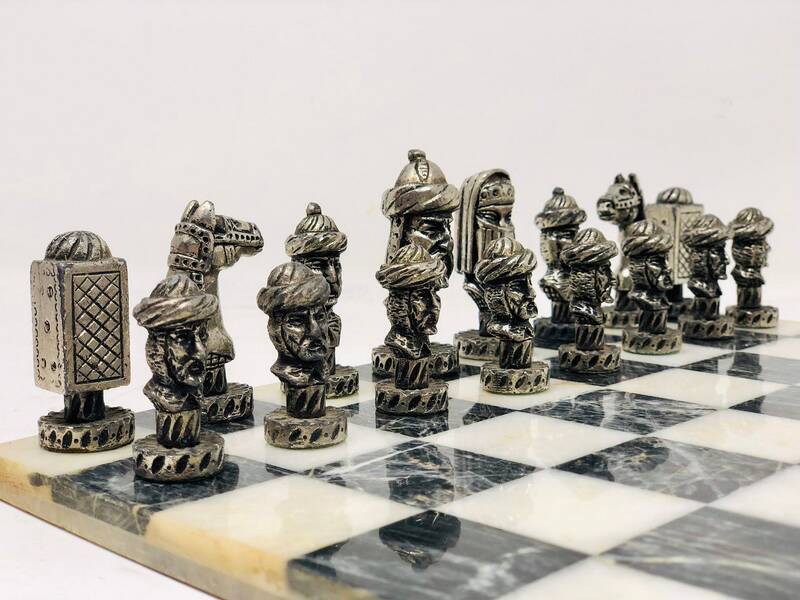 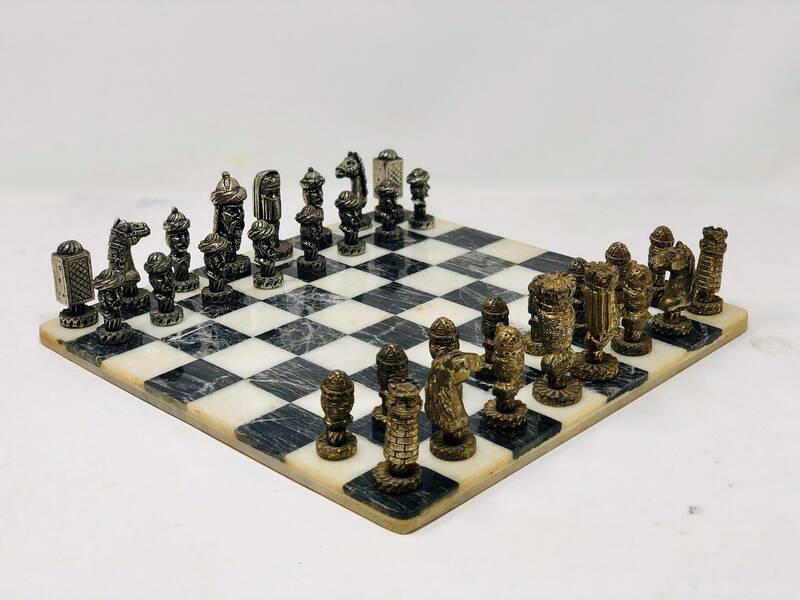 A chess that appears on the museum chess pages made in bronze pieces with several pieces fitted to the thread. 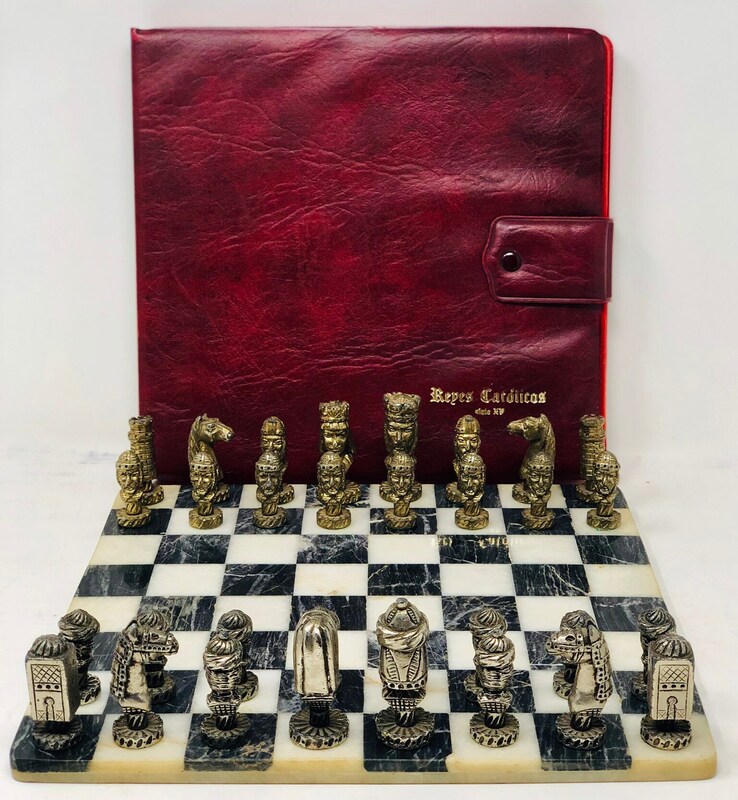 The pieces are heavy and with a very precious vintage patina and come in their original box with zipper. 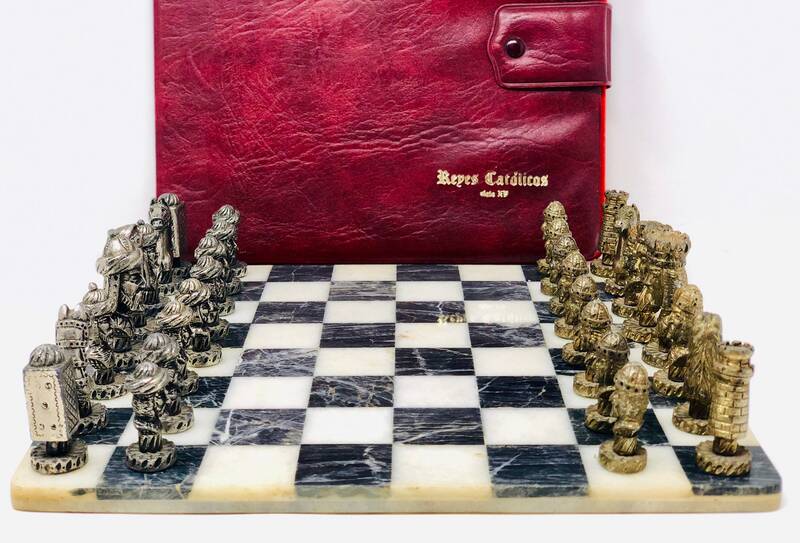 Measurements: 6cm the King. 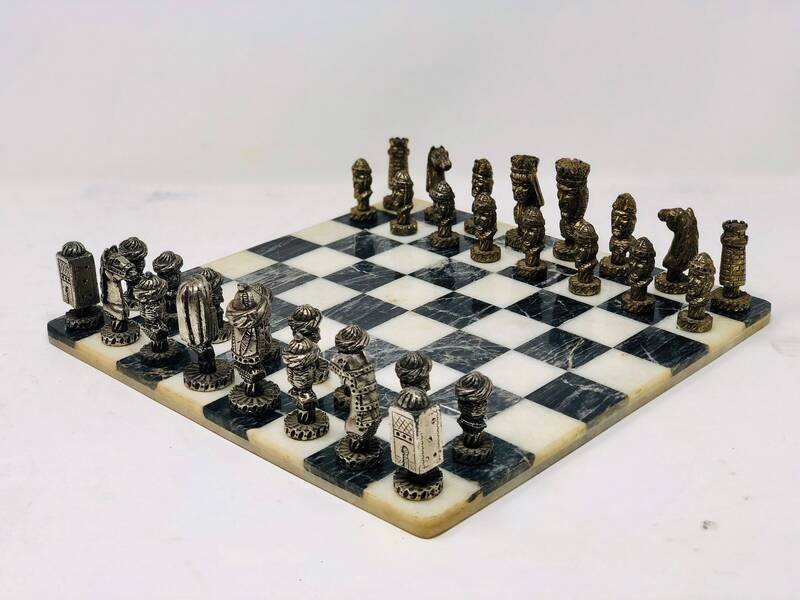 The board is exposed and not included in the lot.